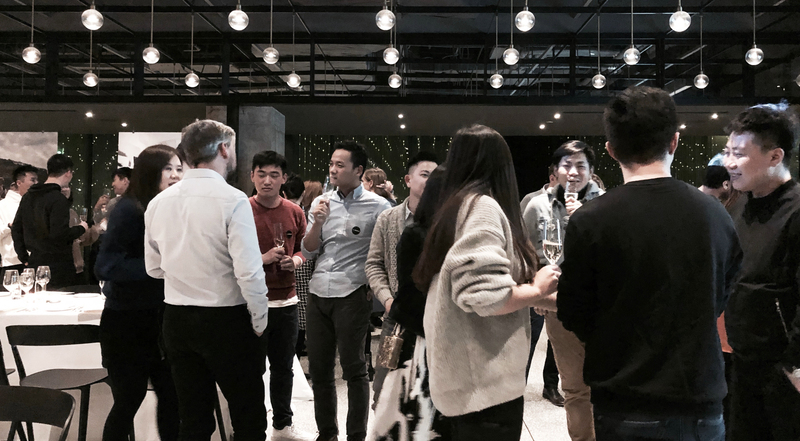 Celebrating the arrival of the New Year, anySCALE Beijing recently threw the firm’s 6th annual party for the Beijing and Shanghai staff, family, and friends, at the Bei space at the Opposite House in Sanlitun. Gastronomic delights, a carefully curated selection of wine and live music were accompanied by various games, performances and merrymaking. Managing Partner Andreas Thomczyk delivered a year-in-review speech covering completed projects, awards won, and the professional and personal growth of the staff members, urging newer members to not forget self-care, and instead aim for a work-life balance to bring out their best. Starting off 2018, with two successful tenders already in hand. A new tradition for the annual party came in form of a more personal touch to the event setting. This year the staff put up a mini-exhibition with ten blown-up images from 2017 put up at the venue. 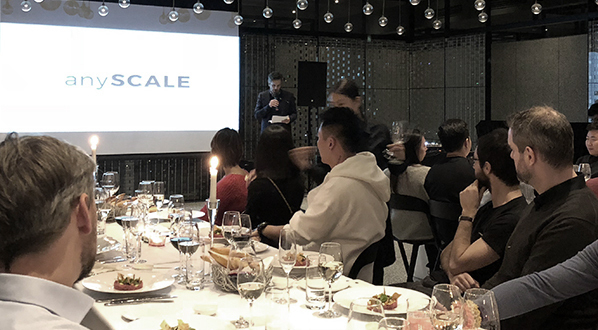 Each conveyed a collectively meaningful story, spanning themes across daily office life, emotional projects, and post-work activities, and showcased the deep bonds forged between members of the anySCALE family. The year-in-review video made by Tom Chan, anySCALE partner, was played right after Andreas’ speech and took everyone by surprise. Introducing the Shanghai and Beijing office segments with popular music and scenes from classic Chinese television series, the video put together fun moments in daily office life, birthday celebrations, outings, important milestones, special events, and vlog messages from members who couldn't attend in person. The lighthearted candid shots, insightful clips, and accomplishments displayed the strength and uniqueness of the anySCALE spirit, setting an intimate and cheerful tone for the evening. Touched by the journey of the last twelve months, the staff reflected on the year gone and what they aspired to achieve in 2018. The Secret Santa reserved for the annual party was followed up with gifts to the staff members from the company. Sated, tired from all the dancing and excited for the coming year, everyone bid farewell for the weekend with yet another great memory.